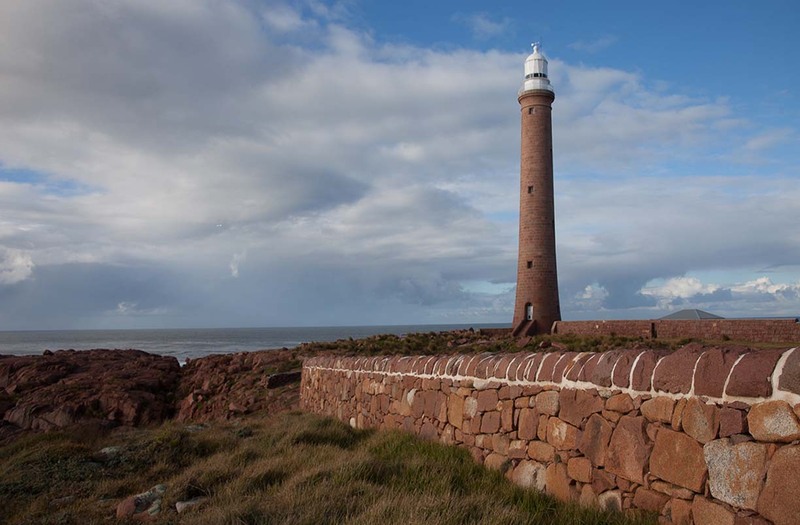 Gabo Island Lighthouse | Lighthouses of Australia Inc. 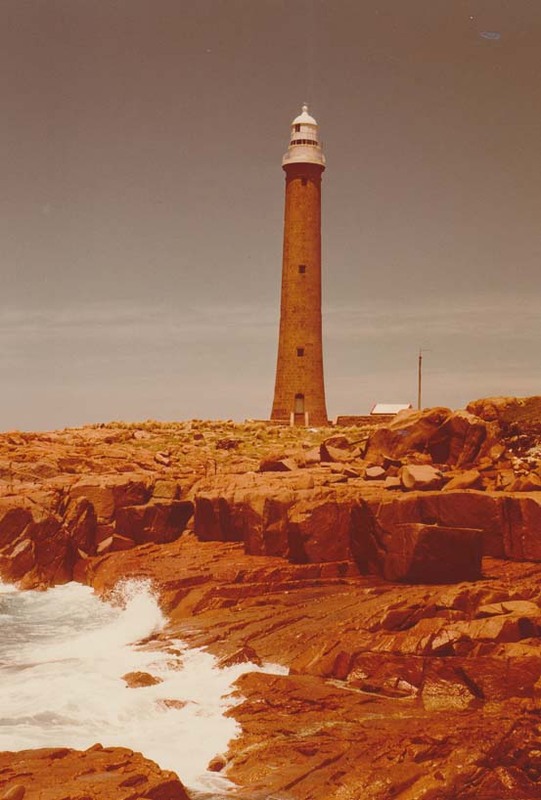 The Gabo Island Lighthouse, renown for its striking red granite tower, was built on the south eastern tip of the remote wilderness island. Lightkeepers endured much hardship in the early years. The operation of Gabo Island has been significantly downgraded with the conversion to solar power in 1993. Much of its role has been taken over by a solar light at Little Rame Head, a bluff, about 35 kilometres away on the coast of the mainland. 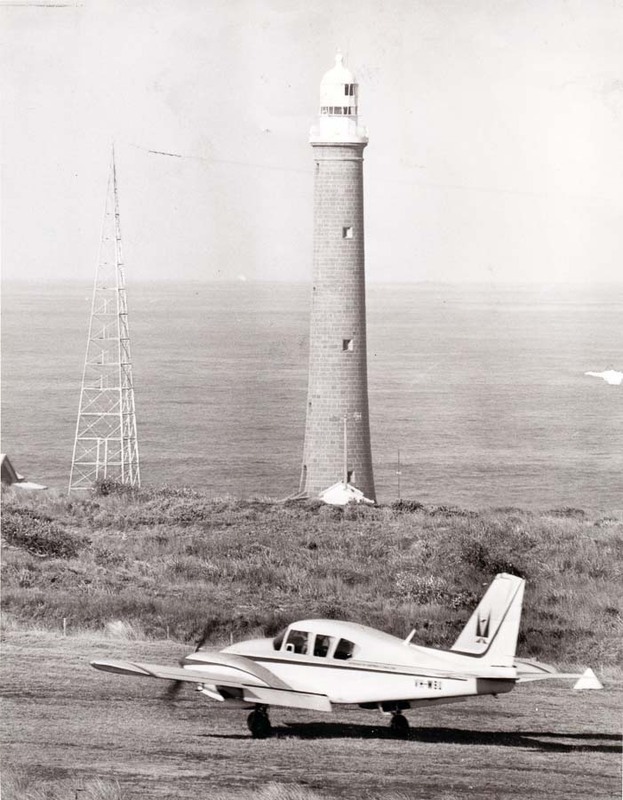 The earliest attempt to erect a lighthouse on the island was abandoned in 1846 after excavations to the depth of 66 feet (20 metres) to find bedrock upon which foundations could be laid had used all the allocated funding. A light was eventually established in 1853. It was a wooden tower pre-assembled in Sydney, then dismantled and re-erected on the island. 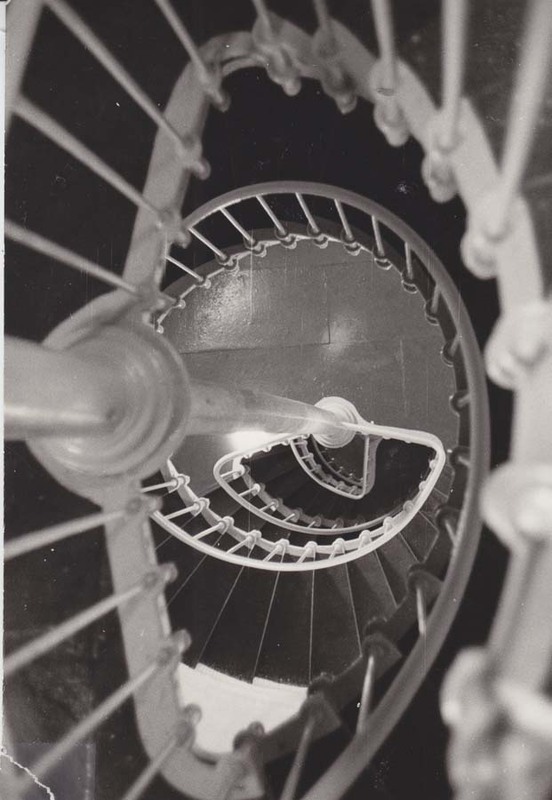 The lantern that had been intended for the the abandoned lighthouse was held in storage and used in this lighthouse. Conditions for keepers attending the first light were hard with poor shelter and irregular supplies. 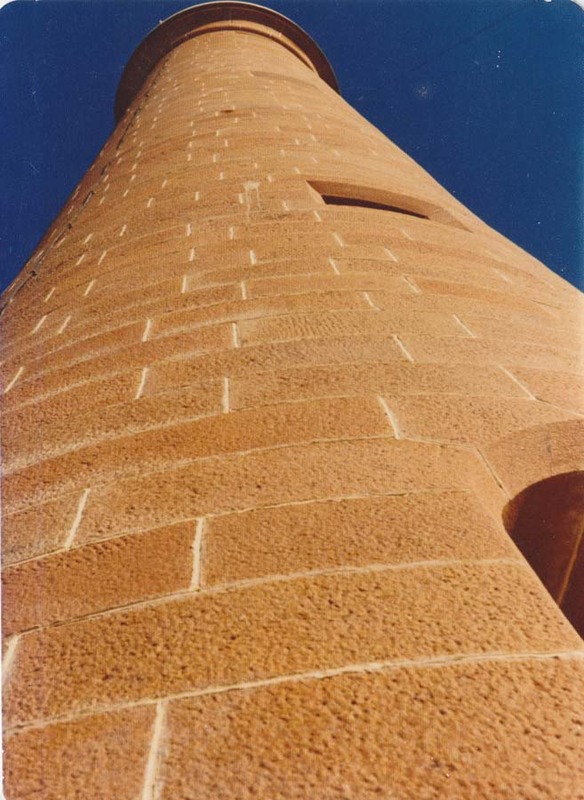 The current lighthouse was completed in 1862 using red granite quarried on the island. Keepers quarters were improved at this time and again in 1888. The new light had a new first order lantern and a fixed catadioptric lens. In 1913, it was converted to a revolving light to give it a more distinctive character. In 1917, the light was upgraded to a incandescent kerosene mantle burner. At this point the character was again changed to group flashing. With the advent of modern navigation aids the light was downgraded in 1993 and converted to solar power. The island is separated from the mainland by a shallow channel, one kilometre wide. Supplies in the early days were delivered by ship and later by helicopter. Storms often lashed the island, and if one story is to be believed, the tide with a very severe one in 1895 came right up to the side of the walls of the houses, 16 metres above normal high tide! Current Optic Vega VRB-25 mounted internally on a stand. Air from Mallacoota or Merimbula (access is restricted) & sea. Tower access is by arrangement. Stay in the Assistant Light Keeper’s residence, featuring three bedrooms, a fully equipped kitchen, laundry and bathroom with all linen provided.